More than 1000 school kids have taken part in the initiative which aims to ignite students’ excitement about learning science at school. 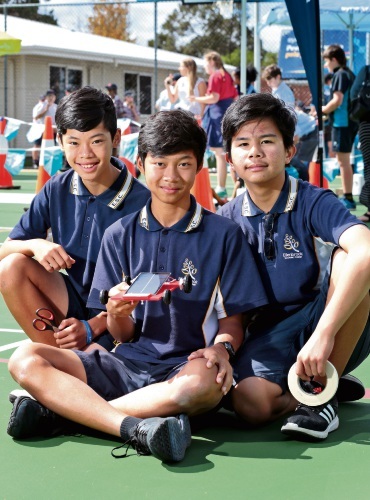 The Challenge, a joint initiative between Synergy and the Science Teachers’ Association of Western Australia (STAWA), enables Year 6 and Year 8 students to build and race model, solar-powered cars against other schools. The program is designed specifically to address the comparatively low number of students choosing to study, Science, Technology, Engineering and Math (Stem) subjects. STAWA chief executive John Clarke said given so many jobs of the future are going to be technology based, the declining interest in Stem subjects was a problem STAWA was trying to address. “The Challenge resources teachers and enables them to inspire their students into continue studying science,” he said. “A Federal Government report has highlighted the extent of the risk to Australia’s capacity to compete for thousands of jobs in the next decade as more industries become automated. Synergy chief executive Jason Waters said the Challenge was also an excellent way to educate students about the benefits of solar and renewable energy. “The Solar Challenge teaches students basic engineering principles in a fun and interactive way and is a great initiative to help pique their interest in Stem subjects,” he said. The grand final will be held on Tuesday, April 10 at Optus Stadium. Darling Range Sports College, Ellenbrook Secondary College, Helena College, Hillside Christian College, Lesmurdie Primary School, Mazenod College, St Joseph’s School (Northam), Swan Christian College and York DHS all took part in the semi-final at Mazenod College.